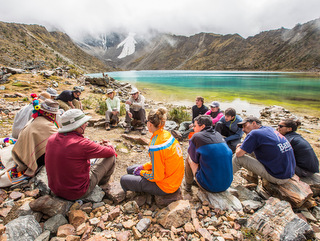 Embark on the ultimate lodge-to-lodge trek along the Salkantay Inca Trail to Machu Picchu, through several unique ecosystems and varied terrain. 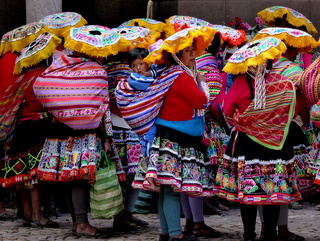 You’ll encounter picturesque hamlets populated by Andean families, who maintain centuries-old traditions, and view environmental and social initiatives created to maintain the integrity of their culture and improve the quality of life. We believe that to travel responsibly, a portion of our tour cost should benefit communities where it’s most needed. For this trip, we will donate to Global Partnerships—which invests in micro-finance institutions, social business and cooperatives in Peru and throughout Latin America.. Early morning pickup by your guide and driver at your Cusco hotel. En route to your first trek of the journey, take a short break to visit the Archeological site of Tarawasi near the town of Limatambo. Begin your trek to Soraypampa, on an old route called the ‘Camino Real’ (Royal Path). 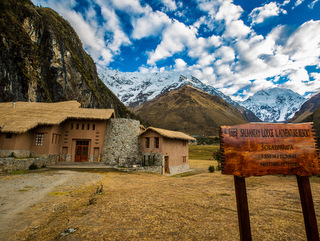 Salkantay Lodge takes its name from the majestic peak at the head of the valley—Mt. 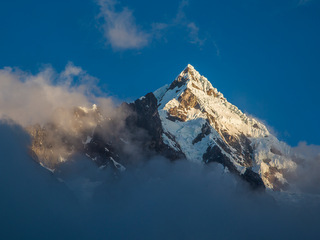 Salkantay, the second most sacred peak in Inca mythology. After a warm welcome by friendly staff, freshen-up. The trip leader will hold a briefing, followed by aperitifs and dinner. Today acclimatize as you hike on the slopes above the lodge to Lake Humantay, fed by the hanging glaciers of Mt. Humantay. Return to the lodge for lunch with your afternoon at leisure. Relax in the outdoor jacuzzi. Enjoy gourmet meals and warm, comfortable beds. After an early start, hike up the Rio Blanco valley, circling Humantay Peak across from Salkantay Peak. The highest point on the trek is the Salkantay Pass at 15,213 ft. Take in views of the snow-capped peaks of the Vilcabamba Range and the glaciated south face of Salkantay towering above. Descend towards Wayra Lodge. Dinner and overnight at the lodge. Enjoy a leisurely breakfast at Wayra Lodge. Continue your descent along the Salkantay River. Feel the warm air rising from the jungle, accompanied by colorful butterflies and striking orchids. Upon arrival at Colpa Lodge, enjoy a delicious, traditional Peruvian meal. 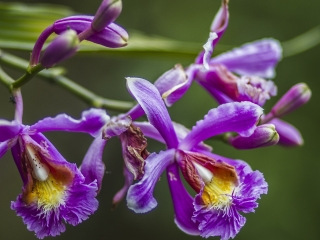 Spend the afternoon relaxing or exploring the nearby orchid trail. Dinner and overnight at the lodge. Today hike along the Santa Teresa river valley, passing through banana, granadilla, and avocado orchards and coffee plantations. A hot picnic lunch is served by the river. After lunch, hike another hour before a private vehicle will pick you up for a short drive to the beginning of the “Llactapata Inca Trail”. 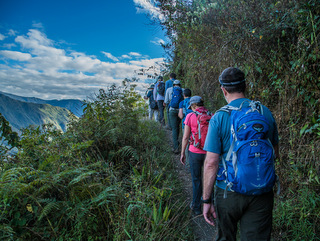 From the head of the newly restored Inca trail make your way to Lucma Lodge, set in an avocado orchard. On the way, visit an organic coffee plantation where you’ll join the owner on a short tour of the farm and learn how coffee is grown, harvested, dried and processed. Dinner and overnight at the lodge. After a hearty breakfast, start your last day of the trek. Head uphill towards Llactapata Pass and marvel at the spectacular, seldom-experienced view of Machu Picchu Sanctuary from the southeast. Explore the archeological site of Llactapata and over lunch, look out to Machu Picchu. Begin your final descent to the Aobamba River through lush bamboo forests, orchards and coffee plantations. Board a train for a short ride to Aguas Calientes, the town below Machu Picchu. Upon arrival, check into your hotel for a celebration dinner with your guide and one last briefing. After a very early breakfast, take the short bus ride up to Machu Picchu Sanctuary. Your trip leader will give a morning guided tour of the ruins. Options include climbing the steep staircase of Huayna Picchu or exploring the ruins on your own. Afterwards, meet up with your guide and return by bus to Aguas Calientes for a late lunch and to catch our train. Transfer to Cusco via train and vehicle. Upon arrival, transfer to your hotel in Cusco. Optional: stay one more night in Aguas Calientes to extend your time at Machu Picchu. 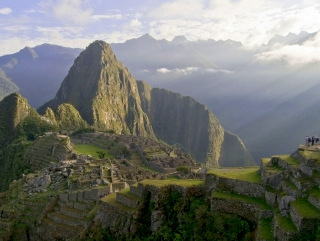 Extend your stay in Peru pre-or post-trek in historic Cusco, the Sacred Valley, the Peruvian Amazon or Lake Titicaca. Contact us for more details. 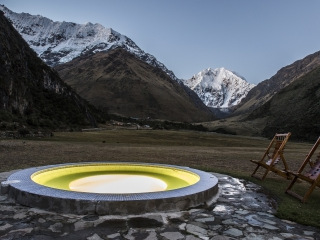 You may also like our Sacred Valley & Lares Adventure. • Rates shown are per person, double occupancy, dependent on season. Airfare not included.